GOOD NEWS-SGT. BOWE BERGDAHL FREE! BAD NEWS-70 TERRORISTS FREED! U.S. Army Sgt. 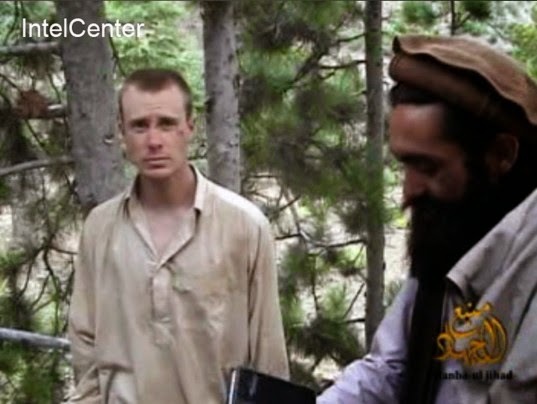 Bowe Bergdahl, who was believed to be in the custody of the Haqqani network, a hard-line faction of the Taliban, was handed over peacefully to a team of Special Operations troops in an unspecified location in Afghanistan, U.S. officials said. The only U.S. service member known to be held hostage in Afghanistan, was handed over Saturday morning by members of the Taliban in exchange for 65 prisoners released in February from Afghan prisons, and five Afghan detainees held at the military prison in Guantanamo Bay, Cuba, U.S. officials said. The prisoner swap deal, which the Obama administration has pursued for several years, began gaining traction last fall after members of the Taliban indicated they were amenable to negotiating on that narrow issue, but through intermediaries. The soldier, who went missing after walking off his base in June 2009, appeared to be in relatively good health. The deal was brokered by the government of Qatar, which has agreed to host the five Taliban inmates in the Gulf emirate for at least one year. The inmates are expected to travel to Doha on Saturday. “Performing a trade of this sort has put every soldier in Afghanistan at risk, as the Taliban can simply capture more people so that they can demand the release of more Taliban members.” Former Deputy Assistant Secretary of the Army, Van Hipp, told General Strike to end Corruption. We can no longer in good conscience trust the police to police themselves. Link to this article from forums and blogs. Mention it with links in your comments on blogs. PROMOTE IT..
DO THE MATH! WE HAVE GARBAGE RUNNING OUR COUNTRY! UNBELIEVABLE!!! SEE MORE FROM OUR FRIENDS AT GENERAL STRIKE TO END CORRUPTION! LIKE US ON FACEBOOK AND FOLLOW ON TWITTER!